Argaman: So, my name is Itai Argaman, born and raised in Israel. As far as I can remember music was in my blood. At the age of three I was playing and banging on my father's musical instruments that were just lying around the house. (Maybe it was leftovers from past lives). My favorite thing in life is to be close to nature, preferably next to a water source, and think about my next track and other ponderings about life and universe. My vision of the world is a magical one, fantasy and cartoons-like weird creatures are a big part of my world and that is why my music is so complex and fairytale-like. I am still waiting for you Tim Burton. Which came first for you, electronic or classical?? Argaman: Even though I never professionally studied the classical theory of music, I was always drawn to it, and I feel that this is part of my musical creativity. It comes naturally to me, and to be honest, I can’t even read notes. I remember at the age 13 or so I composed my first classical piece and I was lucky enough to hear it being played as a part of a feature on the big screen. How did you get into each? Argaman: As I mentioned before, I was born with the classical intuition and it was a part of me since my first year on this planet. 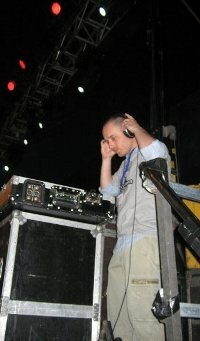 Electronic music came bit later when I was around the age of 16 or 17, and my influences came from bands such as: The Cure, Dépêche Mode, Pink Floyd, Shpongle and the earlier albums of Infected Mushroom, of course, there are other great talents whom introduced me to the electronic world. Do you write the orchestral pieces with a pen and paper, or write MIDI, or just do it on the fly? Argaman: As I have never studied or learned musical notes, I developed my own method of writing and reading my ideas. Usually I have a basic idea of how the track should sounds, I write it on piece of paper in a way that only I can understand and I run home and dump it on to my sequencer. Of course it takes me months to complete each track because of its complexity. Do you record in a home studio setting, or do you go all out with renting a soundproof recording room? Argaman: I have a beautiful and inspiring high quality studio and I do everything there (even sometimes eating, sleeping and also things that I cannot mention here). How long did you spend working on this album? Argaman: Three really long years. Each musical piece from the album made of 200-300 different tracks, so believe me, it was not so easy to create. Apparently I am a very patient person. Could you put the theme of the album into words? Argaman: The album is very much like a movie that is being played inside my head, and all the characters and inner dramas are a part of this movie’s screenplay. This album holds comic, dramatic and even horrifying moments that you will find in actual life. I am waiting for the day that I would be approached by a great director who will understand my vision and together we will take it to the next level. Are there any composers/musicians who you are particularly influenced by? Argaman: I guess that it would be Danny Elfman; I really like his vision and the way he is composing his materials, he is a true genius. I can be influenced by many other great artists that bring a real and honest music to the world. Innovation is the name of the game. What's up with the crying guy in the interlude? Argaman: His name is Sherman Spielberg, he is one of many characters that are playing a role in this fantasy. He is always bitter, sad and lonely. You can see him on the cover art inside the album. By the way, in the track WeirDub you can hear him singing, he was drunk so don’t judge his vocal qualities. And I would like to use the opportunity to thank “The Pash” for the amazing artwork and for his patience. He really understood my vision and brought it to life. Do you plan to formulate a live show somehow? Argaman: Well, I am working on it with some really talented musicians, but it is hard to bring the colors, vibes and the complexity of this music through a live show, but eventually it will be perfect. What do you think is the role of psychedelics in music making? Or, how have psychedelics influenced you as a musician? Argaman: First of all, I must say that the psychedelics aspect brings something that is already inside of you and amplifies it. It can be really exciting and weird if it brings something that was hidden inside of you. As for the music, in my opinion the benefits of it are that it helps you to think outside the box and to be original. Nowadays, it seems that people don’t have time, everything needs to be fast and instant, no patience, the music starts to be like fast-food and it is sad, so if psychedelics help you be yourself and make art that you believe in, I can only say, go for it. Do you think that in these times it's possible for musicians like yourself to make a living off the music that's in your soul? 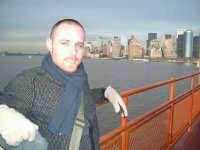 Argaman: Well, besides music I am also a mastering engineer, I compose music for TV shows, theaters and films and work at Waves Audio. My Album is sold very well so far and I also got a lot of really great comments that reassure and motivate me to continue. It was hard for me to release the album because I felt that it was very personal and wanted to keep it to myself, but since thousands of great people asked me to release it, I did, and I am so happy that it helps, heals and makes people smile. That is my main purpose in releasing this album. Tell us a little about Fairy Tales Records. Is it just a channel to release your own music or will there be more? 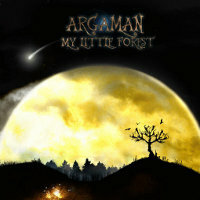 Argaman: In the beginning the main purposes of the label was to put out and promote my album. However, I have received a lot of inquires from other talented musicians that wanted to be a part of Fairytales Records, so I want to use this platform to address all of you people that think that their music comes from their heart and not their “Pockets” and ask you to send me your tracks to listen to and maybe work together. And yes, I do have a lot plans to expand in the music and film industry. Any last messages or links?